A Turkish generic company filed an invalidation action against a leading US pharmaceutical originator company in Turkey and requested the invalidation of its patent – a Turkish validation of a European patent granted by the EPO. The opposition proceedings were still pending before the EPO at the filing date of the invalidation action in Turkey. The patent owner subsequently requested a delay of the national proceedings, stating that the patent claims could still be amended during the opposition and appeal proceedings before the EPO. Further, if the EPO proceedings were still outstanding, there could be inconsistency between the claims of the European patent and the claims of the Turkish validation. In addition, per Article 138/3, in proceedings relating to the validity of the European patent the patent owner has the right to limit the patent by amending its claims. The patent owner requested the application of Article 138/3 if the request for the delay of proceedings was rejected by the court. However, the IP Court pursued the invalidation action in Turkey without waiting for the patent’s final set of claims or the EPO’s final decision, on the grounds that EPO proceedings were lengthy. The patent owner, who was understandably keen to seek a solution that would keep the claims of the Turkish patent compatible with those of the European patent, asked the court to apply Article 138/3 and managed to have the claims of the Turkish patent amended before the Patent and Trademark Office in accordance with one of the auxiliary requests it filed at the EPO opposition proceedings. Following this, the patent owner once again asked the court to delay the proceedings, as the claims of the Turkish patent had been amended and the court could therefore either take the updated set of claims into consideration for the validity examination or delay the proceedings until the same examination was also completed by the EPO Opposition Board. The patent owner also emphasised that it would be difficult and meaningless to recommence the examination for each new set of claims limited/amended as per Article 138/3. Therefore, it made sense and it also followed the principle of procedural economy to delay the national proceedings until the finalisation of the EPO’s decision. A new judge was appointed to the court and examined the queries related to Article 138/3 and decided to wait until the final decision of the EPO Boards of Appeal on the grounds that, in defiance of the principle of procedural economy, it would be costly to conduct an expert examination on the validity of the Turkish patent each time the claims were limited before the Patent and Trademark Office – instead it was more logical to wait for the EPO’s final decision before pursuing the examination. 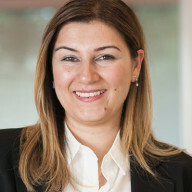 Although there is no clear national provision in Turkey, envisaging the delay of invalidation proceedings until a final decision from the EPO, the new judge felicitously considered the options granted to a patent owner by Article 138/3 of the European Patent Convention and the possible unnecessary litigation costs and time that might arise from several expert examinations. The decision is a good example of the interpretation of indirect effects of the rights conferred to the patent owner by Article 138/3.